Some time back, the Google Chromecast was announced. Chromecast is a small dongle that allows you to, effectively, turn your HDTV into a streaming machine so you can any internet content you want. The critics came out in force; while some said it was a great device, others said it was no different and no more functional that Airplay or Apple TV. If you are undecided, we’re about to tell you something that could push you firmly onto the side of Chromecast. The secret is this – Chromecast has been jailbroken! You can find a video on YouTube that shows the Chromecast being jailbroken and used but it has now been confirmed that it will not run on Chrome. Instead, the jailbroken Chromecast runs on Google TV OS, a modified version which is, in turn, a modified version of Android. 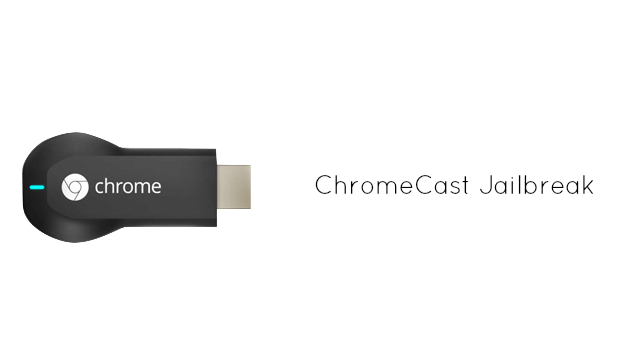 Chromecast is o expensive, costing just $35 and will work on any platform. All you do is plug it into an HDMI port on your TV and the stream away to your heart’s content. It also has built-in Wi-fi making things even easier. While some say that Apple TV is the same, Chromecast is the cheaper option but, while both Roku and Apple TV, both costing around $100, do offer more content choice, jailbreaking Chromecast puts it firmly up there, even ahead of the more popular devices and we’re going to show you exactly how to do it. Before we provide you with a tutorial, we do need to warn you that, as with any form of hacking, there is a certain amount of risk with this; should anything go wrong, you are running the risk of bricking your Chromecast which will put it out of action for good. Once complete, you will see your box restarting and a screen will appear, followed closely by the setup screen. From here, set your Chromecast up as you want it.